Over the past year Microsoft has already talked about how it’s moving away from big releases for Windows in favor of smaller incremental updates that continually evolve the operating system. 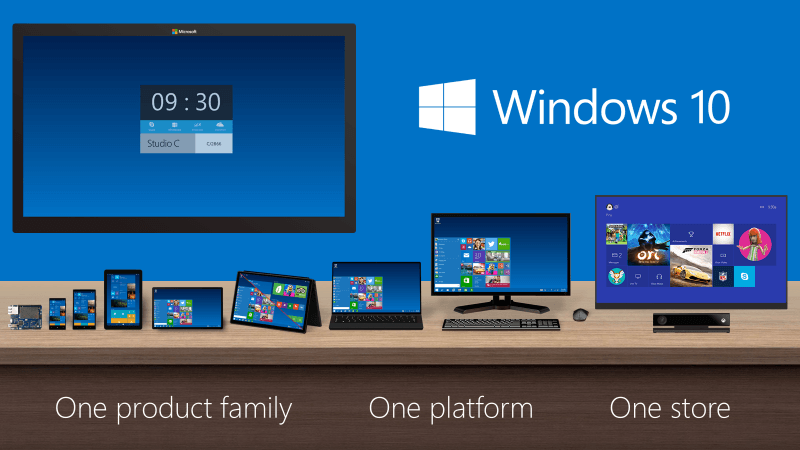 And with Windows 10 around the corner, the company is going as far as calling it the last version of Windows. “Right now we’re releasing Windows 10, and because Windows 10 is the last version of Windows, we’re all still working on Windows 10,” said Jerry Nixon, a developer evangelist speaking at Microsoft’s Ignite conference this week. Nixon was explaining how when releasing Windows 8.1 last year, Microsoft was already working on Windows 10 in the background. Such has usually been the case with all major launches. But now it’s all about Windows 10, which not only helps with focus, it also means employees can talk freely about future updates to Windows because there's no secret new version in the works. "We aren’t speaking to future branding at this time, but customers can be confident Windows 10 will remain up-to-date and power a variety of devices from PCs to phones to Surface Hub to HoloLens and Xbox. We look forward to a long future of Windows innovations,” Microsoft added in a separate statement. The change is reminiscent of how Apple handles its own operating system updates, retaining the OS X name for well over a decade now and delivering point releases to introduce new features and UI changes. These major updates used to be spaced out some 18 - 24 months apart up to 10.7 “Lion” and since 2012 Apple moved to a yearly release cycle similar to iOS. Microsoft hasn’t gone as far as to discuss a schedule for major updates yet. As far as security updates are concerned, the company recently announced that it would end its monthly security update release cycle, known as Patch Tuesday, and instead will deliver bug fixes as soon as they are ready.